There are no rules when decorating a kid’s room. Whether you want to incorporate a theme in a small way or go completely overboard, these ideas will help spark that creativity. Let your imagination run wild so theirs will, too. Make your little princess’s bedroom all about luxury. The key to achieving a princess feel without making it cartoonish is a monochromatic color scheme. Use all pinks, all creams, all purples, or whatever color your little princess desires. Create a rich look with lush fabrics on the bed and windows, and add a bed crown with drapes. A chandelier is an absolute must, and don’t forget a seating area with a lovely tea set or a dressing area with mirrors and a vanity. When selecting pieces for this theme, look for things that are ornate and glamorous. Give your budding artist the studio space they deserve. 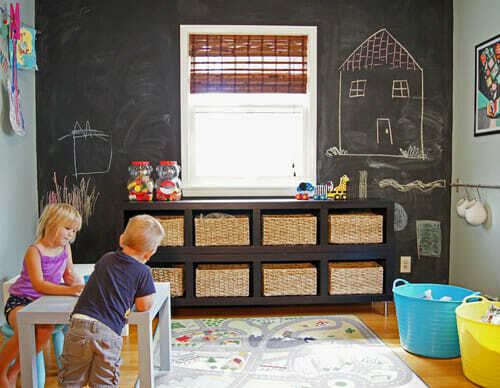 Cover the walls with a combination of color-your-own wallpaper and chalk board paint. Add a craft table with storage that can double as a desk. Colorful quilts and curtains can help infuse the room with a sense of fun. Don’t forget an easel and plenty of supplies. Picture ledges or a cable curtain hanger on one wall can serve as a display for all the unique creations this room will inspire. What child, or adult for that matter, doesn’t love a tree house? Convert your child’s room into a magical forest or tropical jungle with a loft bed constructed to mimic a fort. A slide or pole can provide the perfect way to exit the fort. Not fond of heights? Consider a small cabin containing a bed built right into the room. 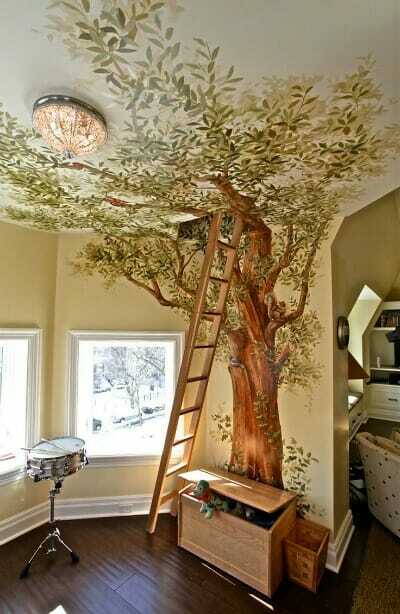 Add tree and animal decals to the walls and paint the ceiling to mimic the sky. A tree stump side table or mushroom stool can add a natural element to the room. A hanging chair, hammock, or large pillows on the floor provide the perfect spot to read or indulge in a little wildlife watching. 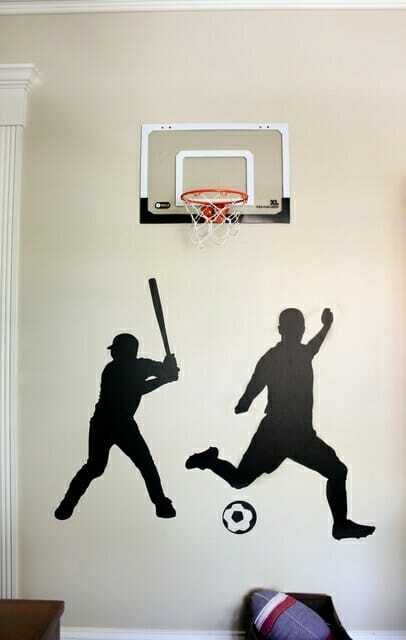 Give your sports fanatic a fun and unique hang-out with a sports-themed room. If you have a large bedroom, add a special hard floor and have it painted to mimic a basketball court or soccer field, or add artificial turf. Create extra space in the room by adding a loft bed with a goal underneath. Have only essential furniture in the room and add castors to it so they can easily be rolled out of the way for a quick indoor game. Consider adding a rock climbing wall or basketball hoop. With a room this cool, you might never see your child again, but you might see every other neighborhood kid.